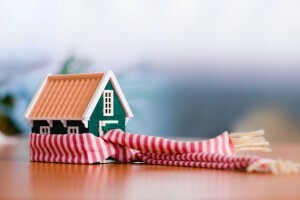 Does Cold, Rainy Weather Impact Your Indoor Air Quality? There are quite a few Utah residents and homeowners who don’t even realize just how bad the air quality can get in our area. We experience a weather phenomenon pretty often during this time of year called an inversion—which happens when normal atmospheric conditions literally become inverted. This traps a dense layer of cold air under a layer of warm air, and along with it, traps pollutants. This problem is bad enough if you spend a lot of time outdoors, but it can be even worse when you’re indoors. In fact according to WebMD, your home’s indoor air quality can actually be worse than that outdoors. This is true of any state, but is especially pertinent in Utah. Fortunately, we have a wide range of West Jordan, UT indoor air quality products to help keep you healthy and comfortable indoors. But it’s worth learning why these efforts are so important. Posted in Indoor Air Quality | Comments Off on Does Cold, Rainy Weather Impact Your Indoor Air Quality? Maintaining high indoor air quality is always worth investing time and money in your Utah home. After all, if the air inside your home isn’t healthy, it can cause all kinds of health problems for you and your family. The state of the art home heating and cooling systems we have today make it possible to enjoy a perfectly temperature controlled indoor environment all year long, but they also trap indoor air pollutants and contaminants inside without proper ventilation.